Marika Rodu has been named Fiji national team coach and Fiji FA women's football development officer. OFC B Licence coach Marika Rodu has taken on the dual roles with the Fiji Football Association as national women’s team coach and women’s football development officer. Rodu, who led the women’s side to a silver medal at the Paciﬁc Mini Games last year, took up the full-time position at the Fiji FA headquarters in Vatuwaqa last week. Fiji FA chief executive ofﬁcer Mohammed Yusuf said Rodu had a proven record and no doubt would do his best for the development of women’s football in the country. “Rodu has a proven record as a national player and coach. He guided the national women’s team to its ﬁrst silver medal victory at last year’s Mini Paciﬁc Games,” Yusuf said. Among his tasks, Rodu will be looking into the development of women’s football in every district across Fiji. “He will map out plans to develop women’s football in all districts and will organise women’s football,” said Yusuf. He added that one of the association’s objectives is to see the Fijian women’s national team in the FIFA Rankings. “Currently we are not ranked but we are trying our best to promote women’s football,” said Yusuf. For Rodu, his passion for football is what encouraged him to take up the challenge set by Fiji FA. “I know it’s going to be a huge challenge but I will do my best to develop women’s football,” he said. Rodu intends to work closely with national men’s team coach Christophe Gamel to map out plans. “I will wait for Gamel to come back from Malaysia and we will map out plans to move women’s football forward together,” Rodu said. 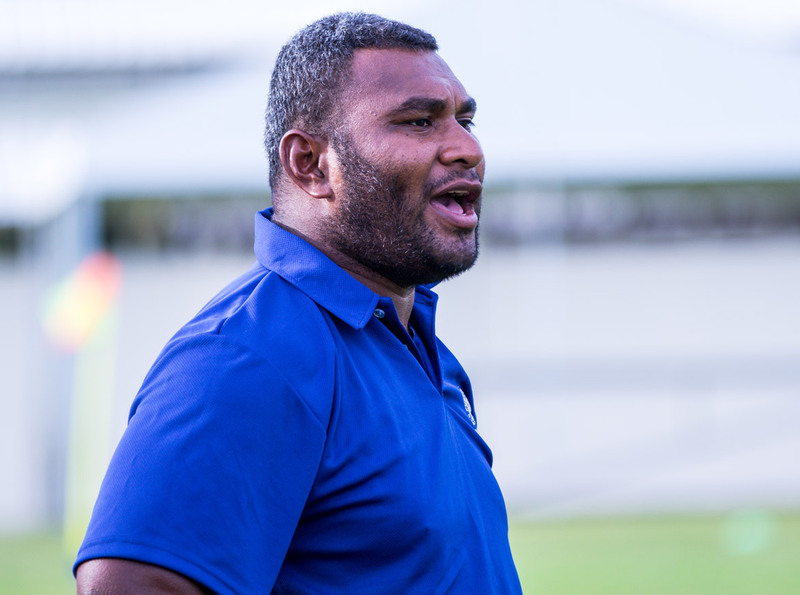 Rodu is coaching the national side at the upcoming OFC Women’s Nation Cup Qualiﬁer which is being hosted by Fiji at Churchill Park in Lautoka. The qualiﬁer will be played from August 24-30 with host Fiji, American Samoa, Solomon Islands and Vanuatu playing for a berth in the OFC Women’s Nations Cup final tournament, to be held in November in New Caledonia. The overall winner of the OFC Women’s Nations Cup will qualify for the FIFA Women’s World Cup France 2019 and the Olympic Women’s Football Tournament in Tokyo 2020. Meanwhile Rodu has stepped down as Rewa coach with Lorima Dau, who is also a Fiji FA development ofﬁcer, stepping into the role.